A few weeks ago Stan and I took a day trip to a cute town in Northern Virginia called Occoquan. It has an adorable main street, is right on the water and is home to a year round Christmas store! I suppose the Christmas store would be quite boring in the summer, but since it is the holidays - I was thrilled. We had lunch at the Secret Garden Cafe, and then walked around for a few hours. Since it wasn't a particularly large community, I felt that I could make it in my new velvet pumps that I have been dying to wear. I put together this all grey outfit and knew it couldn't be complete without them. Since they are the 90mm heel, I can actually wear them comfortably for many hours without needing to change into a pair of flats. 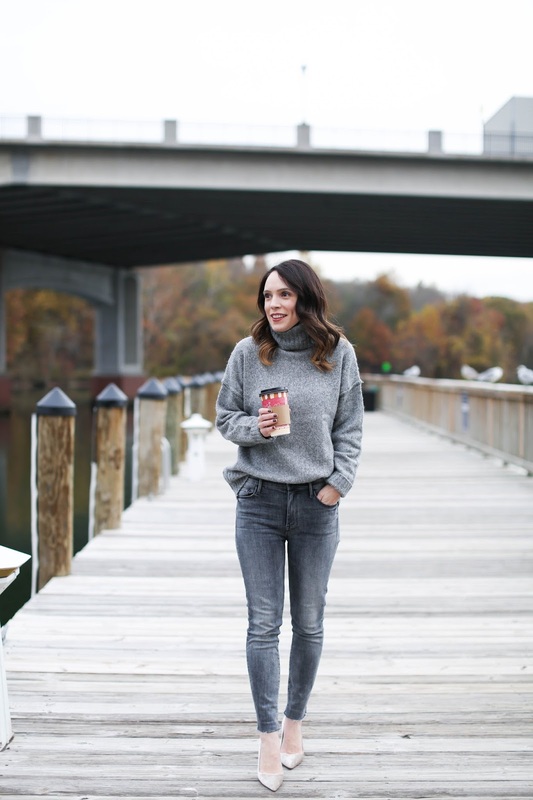 For the rest of my outfit, my first instinct was to wear black or blue jeans with this sweater, but I have seen other girls do a monochromatic look and was inspired to try it myself. I loved it and don't know why I haven't tried an all grey look sooner! The Thanksgiving shopping chaos is over and now the race to the holidays begins. Doesn't it feel like a race sometimes? I have to force myself each year to stop and enjoy this time before it's January and everything feels cold, dull and dreary. This is my first Christmas in a new area so I would love some recommendations as to what is great to experience in D.C. and the surrounding areas. Leave me a comment below or email me! 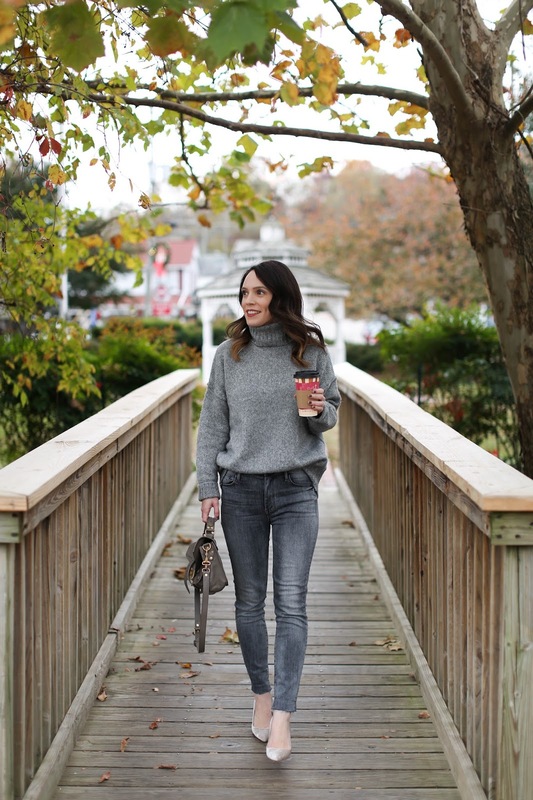 love monochromatic grey, and those jeans look fab on you - such a great wash!